A Patchwork Scheme for a house in North London. 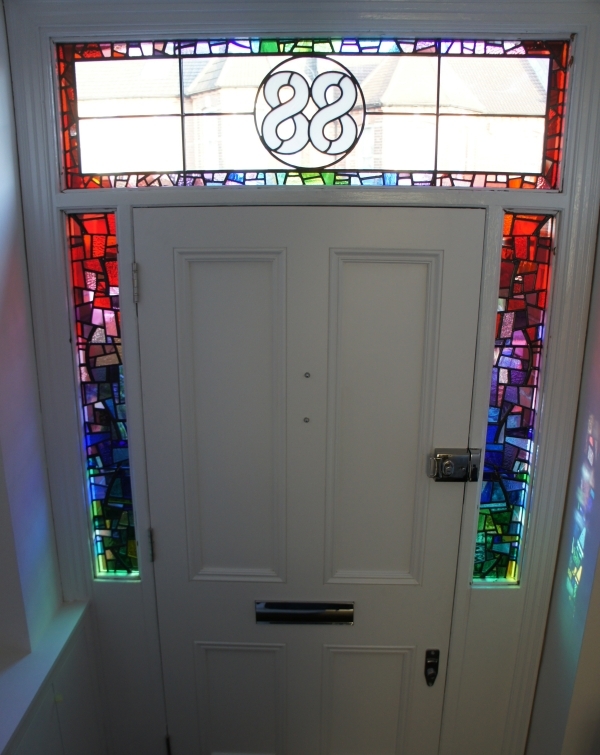 At first my customer was keen to have plain regular sized square of coloured glass within his scheme. However following his visit to my studio he changed his mind and instead chose a patchwork of glass. These panels are such a pleasure to make. I can use a really rich mixture of glasses within the windows and this enhances the whole scheme, elevating it to more than just lead lights, into an art work. I take great care choosing the colours and textures and I make sure there is a seamless flow between the colours. 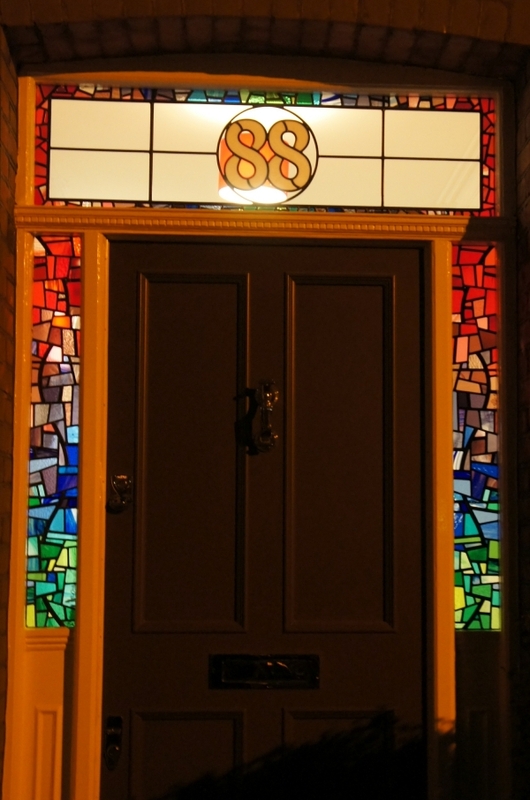 With the addition of the transom panel including the house number it has made this front entrance very cool!